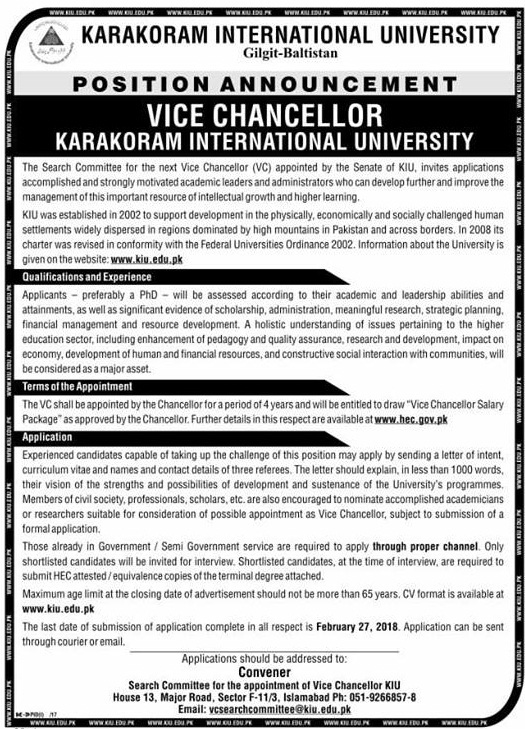 Karakoram International University announced a position of "VICE CHANCELLOR"
The search committee of the next vice chancellor appointed by the Senate of KIU, invites applications accomplished & strongly motivated academic leaders and Administrators who can develop further & improve the management of this important resource of intellectual growth & higher learning. Applicant preferably a PhD- will be assessed according to their academic & leadership abilities & attainments, as well as significant evidence of scholarships, Administration, meaning full research, strategic planing, Financial management & resource development. The VC shall be appointed by the chancellor for a period of 4 year. 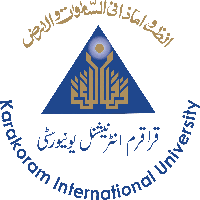 Labels: Jobs-and-Career, Karakoram International University announced a position of "VICE CHANCELLOR"